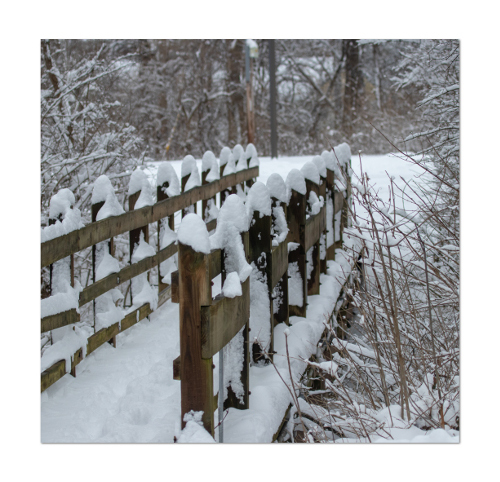 If you live anywhere above the Mason-Dixon Line, or are traveling there for any reason then chances are you are finding it necessary to navigate in the snow. 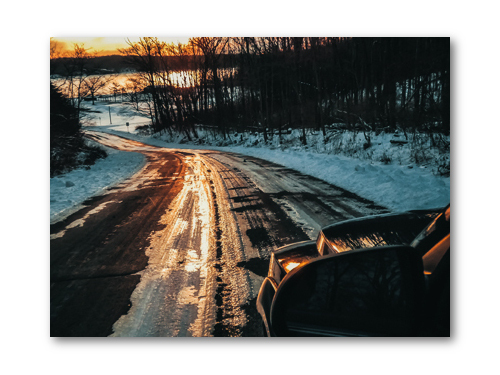 Previously we discussed how to survive if you inadvertently leave the road and find yourself stranded in icy conditions, But in this section I would like to discuss some measures that you can take to ensure that you don’t even go there in the first place. Basically we’re going to discuss how to drive in the snow and on icy roads. I generally make it a point to own either a four wheel drive vehicle or an all wheel drive vehicle, just because basic physics tell us that it is easier for a vehicle to operate on volatile surfaces if the co-efficient of friction is uniform in at least four points of contact, providing those points of contact are each bearing equal and significant sums of the total weight of the vehicle… In layman’s terms, the car will drive better if all four wheels are pulling and pushing in tandem. Use your momentum. Quite often snowy roads aren’t uniform in their obstruction. If you take for example, the photo I include here you will see that there are both patches of ice and patches of asphalt. You want to use momentum to get you over the patches of snow, and torsion to get you through the patches of asphalt. In other words gun it when your drive wheels are on the pavement and let it ride over the snow. Use your engine as a brake. How many times have you ever been on an icy road and applied your brakes, only to have the car move faster and stop steering? This is because once the wheels stop moving you are in a different plane of motion and this is how most people end up in the ditch… foot pushed firmly on the brake and wheel turned uselessly to either side. A better option is to shift your car into 1st gear when you have to go down a steep icy hill. Then, let it creep, allowing the engine to control how fast the wheel can spin instead of the brake shoe. This will allow you to still be able to turn the wheel effectively. If it is super slick put it in reverse and then you can use the gas pedal to slow your descent as well. Take it slow, but keep moving. Whenever you get in trouble, your first reaction is to want to stop; however, that’s not always your best option when driving in snow and on ice. If you’re moving just keep moving.